Some Light Chuckles About Space Space Facts We've Learned in the Last Few Years Super Creepy Facts About Space Pics of Saturn from NASA's Cassini Crazy Facts About Black Holes Wacky Weather in Outer Space Unbelievable Pics from ISS Every Close Call with Asteroids If Earth Didn't Have a Moon Geological Formations on Other Planets Creepy Noises from Outer Space The Great Red Spot of Jupiter Discoveries by New Horizon Titan, Maybe Our Next Home Planet Pics of Earth... from Space! Breathtaking Shots from the Hubble When Galaxies Get Together The Formation of the Moon Amazing Photography What If We Nuked an Asteroid? List Rules Vote up the solar system locales where you would most definitely not want to die. It's easy to look out into the night sky and imagine the wonders and possibilities that await us among the stars. Tons of science fiction movies have been made about venturing into the cosmos, and as many of those movies show, space isn't exactly hospitable. In fact, our solar system is essentially a collection of endless misery. Which is too bad, because, like, you really want to go to Jupiter, right? Wouldn't that be cool? But pretty much everywhere that isn't Earth will destroy you; the deadliest places in the solar system are also the coolest. In addition to lava-spewing volcanoes, ice volcanoes, and lakes of noxious gas, some planets have storms so strong they'll rip the flesh off your bones. The good news about all these places is they'd kill you really quickly. So, if you're in a morbid and cosmic mood, check out our list of the scariest, worst places to die in the solar system below. Venus's thick, tempestuous atmosphere has turned the planet into a scorched wasteland, trapping extreme heat, pressure, and toxic gas. Surface temperatures exceed 880 degrees Fahrenheit, hot enough to melt lead, and the air pressure on Venus is 90 times that of Earth. There are also lava plains. So. Venus would crush, suffocate, and incinerate you simultaneously, in probably less than 10 seconds. And that's assuming the sulfuric acid in the atmosphere doesn't destroy you before you get to the planet's surface. Neptune is so far from the sun - about 2.8 billion miles - it takes it 165 years to make a single pass around the star. An ice giant, the mammoth planet's atmosphere contains swirling water and shards of ice. Neptune also has wind gusts reaching speeds of 700 miles per hour. At that speed, the wind itself would flay you. The ice in the atmosphere is a nasty little bonus. Saturn sure is beautiful. The rings, the swirling colors, the light breeze. Yes, as it turns out, winds on Saturn gust at about 1,118 miles per hour. So, if you're scared of being crushed by the pressure within this gas giant, don't worry. You'll be ripped to shreds by the wind before you implode. 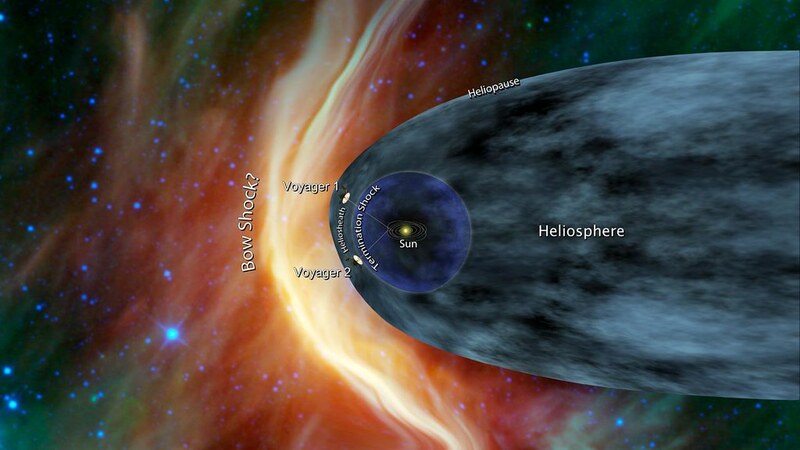 A magnetic bubble called the Heliosphere surrounds the solar system, and contains the cosmic bodies and solar winds within. To get there, you need to pass through something called Termination Shock, which is the point at which solar wind blowing out from the sun encounters astral wind, and abruptly slows down. Previous to reaching the Termination Shock, solar winds travel at about 1,500,000 miles per hour. If you make it through winds strong enough to tear apart the primordial matter from which you formed, you'll suffocate and freeze in the nothingness of the Helisophere.